Alright folks ... FINALLY, what y'all have been waiting for! 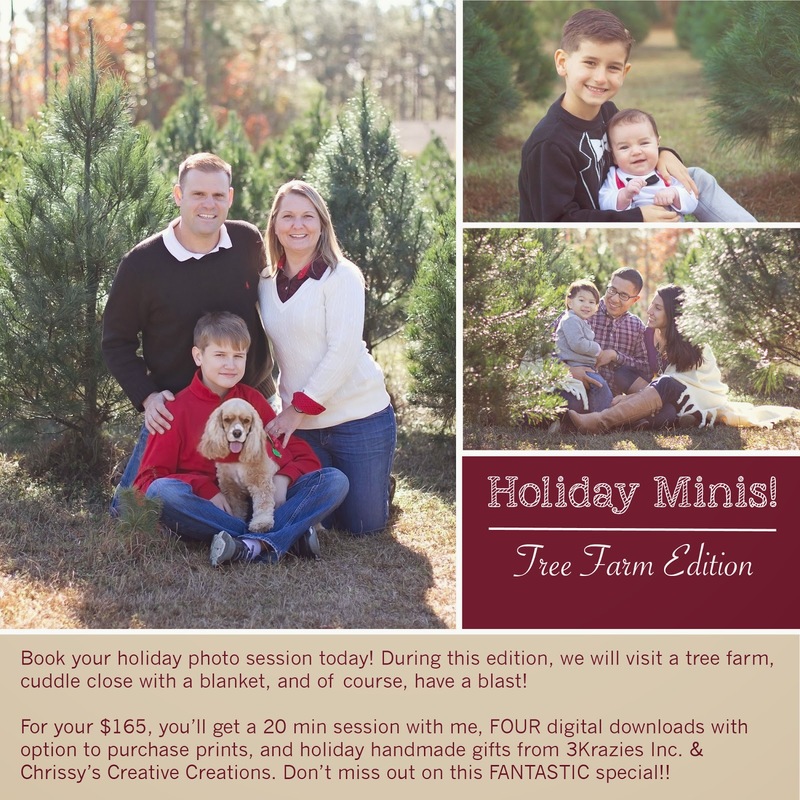 My holiday specials! I'm giving you a choice here ... I have three options between now and November (and a few days in December, for my procrastinators). 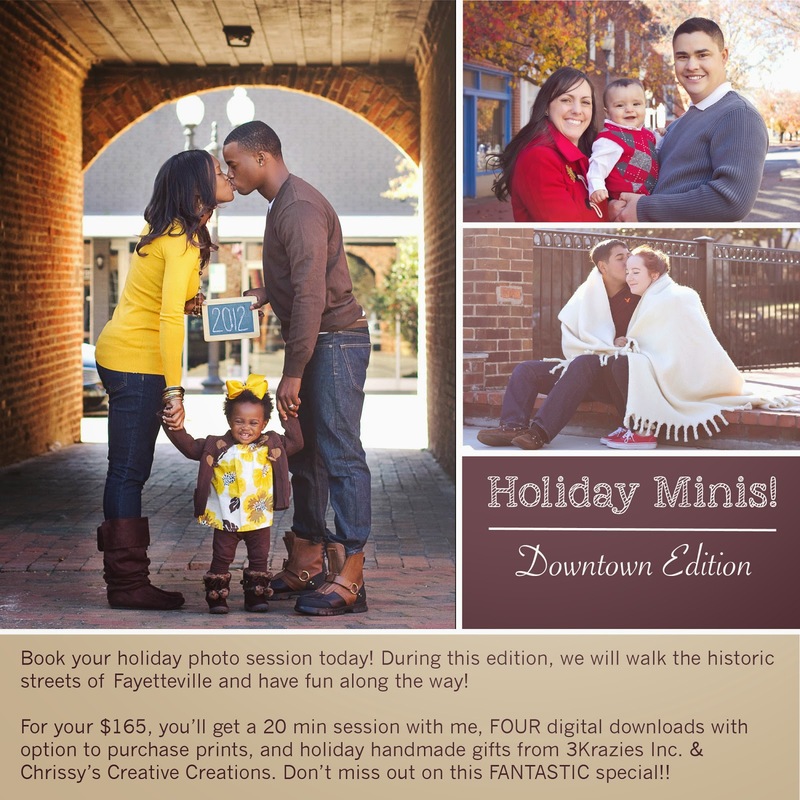 What I failed to put on the ads is that these prices also include 25 holiday cards with 2 different templates to choose from (October and November sessions). My procrastinators for December will get eCards with the same templates. 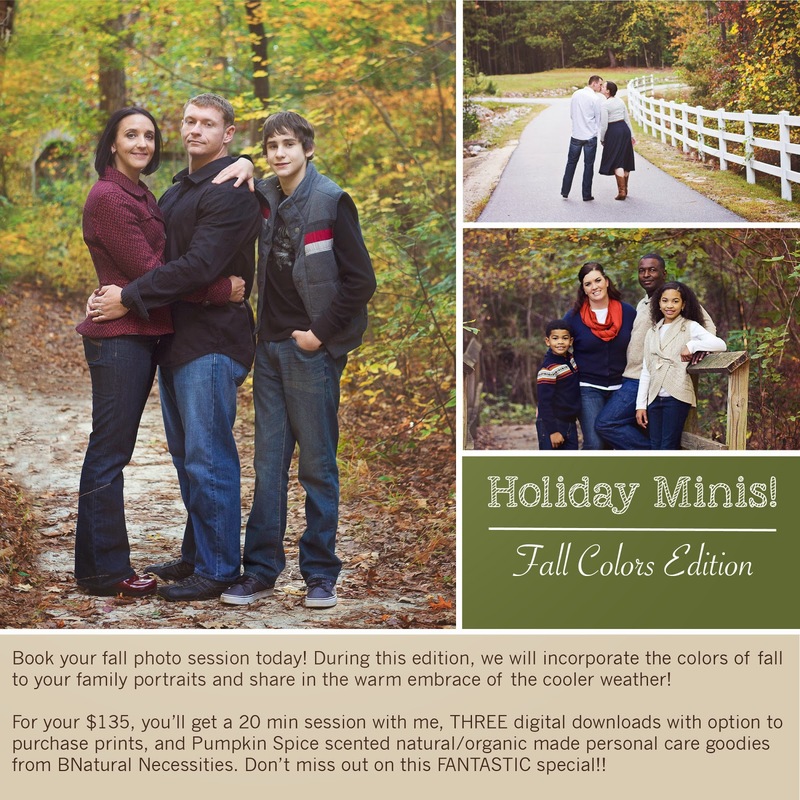 So, depending on if you want Fall colors, an urban feel, or a true blue Christmas feel ... you have the option of either! 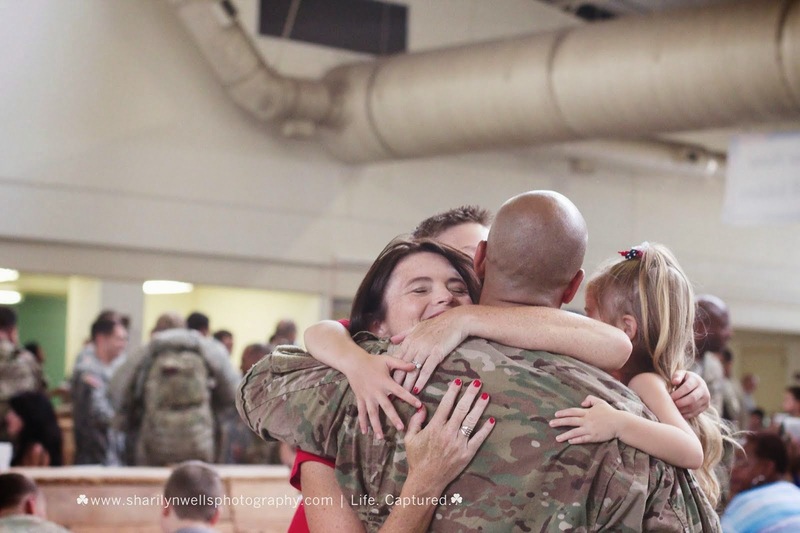 I don't have specified dates as I will also be busy with multiple homecomings these next two months and then my Army annual training in December ... SO ... we will work out a date that works for all of us on an individual basis! Please Facebook message me, email me or call to book! Fall Editions are going to be October and early November dates! Please, please, PLEASE check out Brandy's (BNatural Necessities) fantastic health care products at her FACEBOOK & Order at her Etsy Shop HERE!! Downtown Editions are going to be October and early November dates! You can find Chrissy's creations on her FACEBOOK and Katrina's (3Krazies, Inc.) ornaments HERE! Tree Farm Editions are going to be late November dates! Book by emailing me at sharilynwellsphotography@gmail.com ! !